Breast cancer is the most common form of cancer in women. Currently, one in nine* women will suffer from this cancer in the course of her life and at ever-younger ages. While prevention, research and treatment are regularly making tremendous progress, there is still very little focus on post-operative care. However, this is the most important time for physical and psychological rehabilitation, and their success is crucial to return to an active life and feeling feminine again. The physiotherapist’s role (though little known to the public) is essential during this stage and allows women to gradually reclaim their bodies. This is why, for many years, LPG has made a commitment to health teams and developed treatment protocols specific to pre- and post-breast cancer care in order to assist patients at each stage of their rehabilitation. By mechanically mobilizing the tissue, the medical endermologie® technique always post-operative effects by reducing secondary edema and inflammation in order to limit the appearance of adherences. Moreover, the different treatment heads stimulate the microcirculation and activate collagen and elastin production to facilitate scarring, minimize pain, and restore mobility. HUBER 360® EVOLUTION gradually exercises your joints and muscles to not only relieve tensions, but also to recover strength and flexibility. It restores the patient’s range of motion and gives her back the normal use of her arms. She will soon recover mobility of the shoulder and perform everyday tasks. Thereafter, this exercise allows to return to physical activity that is highly recommended to minimize the risk of future problems. After my operation, and due to a lack of information, I went to the office of a non-specialized physiotherapist, who certainly worked hard on my shoulder’s range of motion, but without successfully eliminating the scar pain. After a year of rehabilitation, a friend happened to tell me about a physiotherapist specialized in breast cancer patient care. By working on the scar with the medical endermologie® technique, she quickly succeeded in eliminating almost all of the scar tissue that was bothering me, and HUBER exercise restored my arm’s entire range of motion. I am now free of the yoke that burdened me for over a year. Finally, beyond the therapeutic care, I really appreciated the psychological support that she provided me with throughout our sessions, support that was possible thanks to her specific knowledge of the illness. I highly recommend that all women get to a specialized physiotherapist! At first, the scars weren’t very pretty and were particularly adherent. The result? My entire arm was immobilized. The medical endermologie® technique really works on the scar until it’s freed from the adhesion and so restores the arm’s use and its range of motion. The surgeon’s intern told me I would no longer be able to lift heavy objects. I had a hard time lifting my arm and was scared to do difficult things. The HUBER® rehabilitation sessions restored my self-confidence and showed me how far I could push myself without over doing it. I was playing tennis 2 months after my surgery, and my arm didn’t bother me at all! 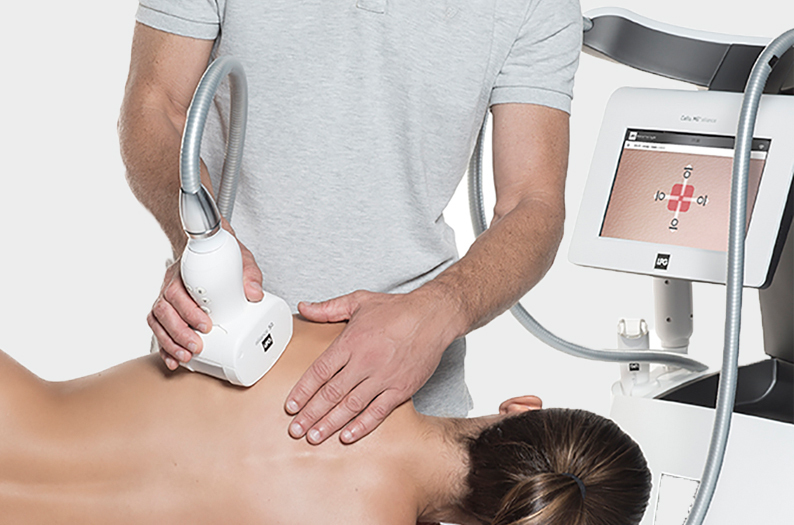 Without a doubt, medical endermologie® needs to be a part of the various treatments because the ability to mobilize tissues is unique and impossible to achieve manually. Correct use of this tool often prevents the surgeon from operating unnecessarily or at least on healthier tissue conditions. 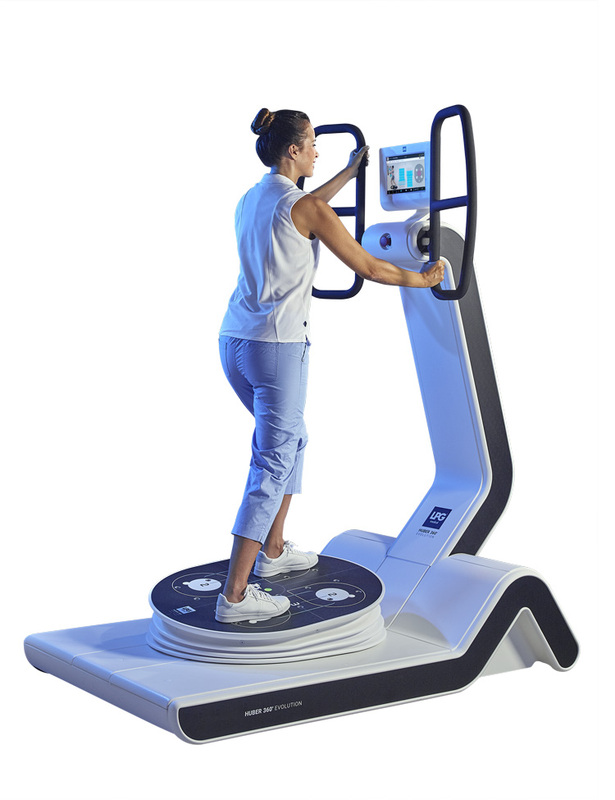 Simultaneously, HUBER® is used for overall postural exercise and upper limb rehabilitation and to help and encourage patients to return to their professional and sports activities. I’m grateful every day to be able to help these women through this ordeal and to have real therapeutic answers thanks to medical endermologie® and HUBER®. Our work as oncologists and surgeons was initially to remove the tumor, but an essential part of our mission now is also rehabilitation. We need to help people get back to their normal lives—be it sports, social activities, or their job. Combined with the physiotherapist’s expertise, these new LPG techniques improve the recovery process, heal scars better, and help patients feel good about their body again.